Narcosubmarines: Nexus of Terrorism and Drug Trafficking? One year after the ratification of their historic peace agreement, the Colombian government and Fuerzas Armadas Revolucionarias de Colombia (FARC; Revolutionary Armed Forces of Colombia) continue to make joint steps towards the peaceful demobilization and assimilation of former FARC members into Colombian society. A few hiccups aside, the deal has seen the reintegration of over 7,000 former fighters into camps designed to facilitate their transition into society.1 While countless points regarding FARC’s innovation and longevity merit examination, one infrequently analyzed item stands out: FARC’s drug submarines. Drug submarines (hereafter referred to as narcosubmarines) are manufactured in the thick jungles of eastern Colombia and are not the primitive vessels of one’s imagination. FARC’s narcosubmarines boast sophisticated anti-detection features and navigation, can haul up to 10 tons of cocaine, and can cost upwards of ten million U.S. dollars. Narcosubmarine development has spurred many scholars into hazy gesticulations of narco-terrorism. This paper provides an expose of the issue and more thoroughly considers its implications. Further still, when narcosubs are actually interdicted, crew members will typically scuttle the vessel via a system of sophisticated drainage valves.11 Millions of dollars’ worth of evidence can be sunk in a matter of minutes. The recovery of cocaine then morphs into the recovery of the crew members which sank it. Although the United States’ Drug Trafficking Vessel Interdiction Act of 2008 now incriminates unidentified submarine crews for attempting to evade authorities, law enforcement cannot typically prosecute for the submarine and its cargo lying on the ocean floor. Finally, in a general sense, interdiction is a problem of scale. 30 percent of the maritime flow of drugs from South America up through Central America is estimated to make use of narcosubmarines.12 Given that maritime routes are roughly estimated to account for 80 percent of drugs shipped north,13 narcosubmarines carry around 24 percent (0.8 x 0.3) of total product, almost a quarter of the entire drug stream. While a single narcosub interdiction may eradicate hundreds of millions of dollars’ worth of cocaine, DTOs’ diversified drug portfolio still renders their cost-benefit analyses profitable. Yet their innovation with respect to narcosubmarines poses challenges for more than the U.S. Coast Guard and regional partners. It raises compelling concerns for U.S. national security. Narcosubmarines also pose international security threats. While a more sophisticated analysis of these threats may exist in the classified sphere, open source literature provides a useful primer of the issue. Lamentably, analyses of terrorism are always an exercise in a sort of speculative predication which may very well fail to materialize. A narcosubmarine-based attack on the United States might be shelved as a ‘black swan’ event, a game-changing development difficult to even contrive hypothetically.15 Still, a number of points are difficult to dismiss. Three factors must be considered: the establishment of motive, the acquisition of a narcosub, and the execution of an attack. Putting domestic terrorism aside, the intersection of foreign terrorist organizations (FTOs) and DTOs must subsequently be considered. FTOs have been active in South America in their own right. Two bombings of the Israeli embassy and the Argentine-Israeli mutual association took place in Argentina the early 1990s.18 Venezuela has been frequently accused of collaborating with Iran and funding extremist groups like Hezbollah, which holds documented connections with FARC.19 Russian engineering was responsible for the birth of the Facatativá sub, and Russia has maintained connections with the Cali cartel, another Colombian DTO.20 In 2001, three members of the Irish terrorist group the Provisional Irish Republic Army (PIRA) were arrested for “training FARC militants in the use of explosives, including homemade mortars.”21 FARC utilized this kind of training in its subversive campaigns against Colombian urban centers. Most importantly, South America’s security framework has difficulty preventing these kinds of events. Counterterrorism efforts with respect to FTOs have been plagued by “corruption, weak government institutions, insufficient interagency cooperation, weak or non-existent legislation, and a lack of resources.”22 In this globalized environment, the insertion of FTOs into the narcosubmarine context is entirely plausible. While terrorist attacks in Latin America are relatively infrequent and usually domestic in nature, the combination of weak government authority in isolated regions and verified connections to well-established terrorist organizations cannot conclusively rule out the possibility of a group plotting a narcosubmarine-enabled attack on the United States. On a basic level, the acquisition of a narcosubmarine is a purely pecuniary issue. Given a prospective buyer operating near the location of the submarine and the means to negotiate an exchange, purchasing technological blueprints or the submarine outright would only require a monetary transfer. Yet the story is much more complex. First, in all likelihood, terrorist organizations would need to purchase an entire sub. Obtaining the necessary materials and chartering the technological know-how to bring them together would be burdensome and time-consuming. At best, the finished products – which would also require familiarity with local supply chains and the tropical terrain – would be far inferior to the original submarine models. Secondly, Donald Davis stresses that for a DTO such as FARC, the “opportunity cost of a single voyage could exceed $275 million USD.”23 In other words, DTOs would need to reap a profit greater than that which the sub could otherwise garner, calculated to approach a whopping three hundred million dollars. These sums are well beyond the means of the wealthiest terrorist organizations. Further still, a successful terrorist strike on the United States would immediately engender “a swift and decisive military response…[that] could significantly alter the DTO’s ability to function…”24 Inciting retaliatory measures would cut into profits if not totally destroy the DTO. In this way, the chartering of a narcosubmarine appears beyond the means of even the most fanciful ITO. The most compelling threat is the break-up of FARC, a wild-card variable that presents an uncertain trajectory. FARC’s demilitarization has created a power vacuum in rural Colombia. The Colombian NGO Indepaz has predicted “a territorial reorganization of the ‘narco-paramilitary groups’ in the aftermath of a peace accord with the FARC with the Bacrim (Spanish acronym for ‘bandas criminales’) groups vying to take over FARC drug and illegal mining businesses.”25 Relegated to the peripheries26 under FARC, these groups are competing amongst themselves for dominance in the emerging power vacuum. According to the Internal Displacement Monitoring Center (IDMC), fighting amongst competing groups “has resulted in more than 56,000 displacements in the first half of 2017.”27 These paramilitary organizations include the Ejército de Liberación Nacional (ELN; National Liberation Army) and the Ejército Popular de Liberación (EPL; Popular Liberation Army), as well as a host of smaller gangs. Even indigenous communities — many of which are hostile to the federal government and its efforts to eradicate coca production — are prone to violence.28 At least one narcosubmarine has been produced post-demilitarization.29 In July, the Colombian military seized a narcosubmarine built by the ELN. With the opportunity generated by FARC’s retirement and less formalized, looser hierarchical structures, peace agreements with these organizations a la FARC appears unlikely.31 Finally, one must consider FARC’s organizational structure. Prior to the settlement, FARC was “divided into six different commands, each composed of at least five fronts that represent different geographic territories,” all relatively decentralized and autonomous.32 Breakdown of the structural hierarchy raises the probability that individual members33 transfer submarine technology to external agents. When not trafficking cocaine, the aforementioned cost-benefit scenario changes: why not profit from the sale of idle narcosubmarines or the jungle laboratories that built them? Like the ‘loose nukes’ unaccounted for after the breakup of the USSR, control of narcosubmarines, the expertise related to their production, and their assembly sites post-accord is unclear. With FARC’s abdication and continued power swings amongst old and emerging groups in present-day Colombia, the sale of a loose narcosub remains a serious concern. 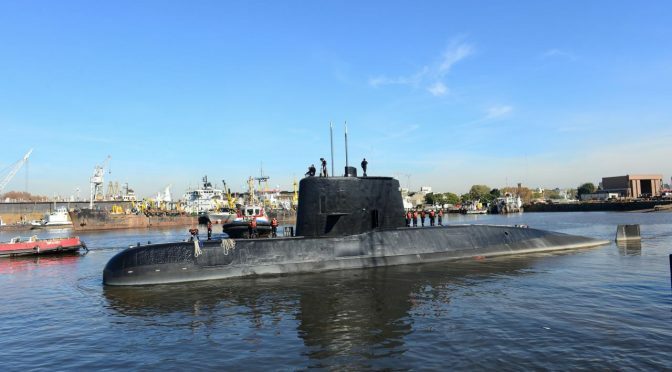 Although DTOs and FTOs have many reasons to shun technological exchanges, the uncertainty with respect to changing power dynamics amongst sub-national groups in Colombia today cannot rule out FTO acquisition of a narcosubmarine. How might a drug submarine be used in a terrorist attack? Transportation and detonation of a weapon of mass destruction (WMD) would clearly represent the gravest of scenarios. On paper, many narcosubs are large enough to carry a WMD.34 Delivery on the water additionally allows submarines to reach urban centers on both the East and West Coasts. Yet the list of prohibitive hurdles involved in such an endeavor is enormous, the most pressing of which are not specific to submarines. The use of narcosubmarines for improvised attacks is most concerning. Described by Admiral James Stavridis in 2008 as “…clearly the next big thing,”35 autonomous narcosubmarine technology has outpaced anti-submarine defenses. They are particularly difficult to expose. Kenneth Sherman notes that “submerged submarines are detected almost exclusively acoustically, and unlike the louder Soviet nuclear subs of the Cold War, modern diesel-electric submarines are extremely difficult to detect, localize, and track.”36 The electric subs FARC regularly employed37 are “virtually impossible to detect using passive acoustic measures.”38 Amid sequestration and budget cuts, the U.S. Coast Guard’s defenses are even less likely to detect and neutralize a narcosubmarine on their own. 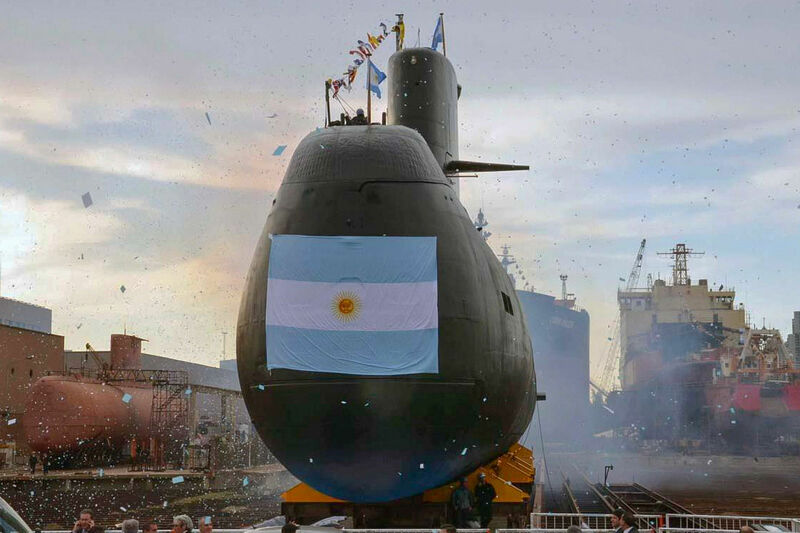 A lone submarine built painstakingly by hand in the dense jungles of South America by a demilitarized non-state entity traveled thousands of miles north utterly undetected to successfully strike the shores of the United States, which boasts the strongest and most technologically advanced Navy of all time. Given the difficulties charting modern submarines post-USSR,46 the security forces of the United States should pay special attention to the evolving world of external submarine development by non-state actors. Narco-terrorism in Colombia follows a fairly intuitive procedural logic on paper. While the idea may seem far-fetched, prudent U.S. policy should continue to plan for the possibility of such an attack. John Stryker is a senior studying International Relations and Hispanic Studies at the College of William and Mary. Austin, Christina. “Disaster Timeline: How Carnival Went from ‘Fun Ship’ To ‘Poop Cruise’.” Business Insider. February 20 2013. Web. <http://www.businessinsider.com/how-carnival-went-from-fun-ship-to-poop-cruise-2013-2>. Baker, Andy, and David Cupery. “Gringo Stay Here!” Americas Quarterly. Spring 2013. Web. <http://www.americasquarterly.org/gringo-stay-here>. Cragin, Kim, et al. “Sharing the Dragon’s Teeth: Terrorist Groups and the Exchange of New Technologies.” RAND. 2007. Web. <https://www.rand.org/content/dam/rand/pubs/monographs/2007/RAND_MG485.pdf>. Crisp, Wil. “The New Struggle for Colombia’s Countryside after FARC.” Al Jazeera. October 24 2017. Web. <http://www.aljazeera.com/news/2017/10/struggle-colombia-countryside-farc-171023111815468.html>. Davis, Donald. “The Submersible Threat to Maritime Homeland Security.” Naval Postgraduate School. September 2013. Web. <https://calhoun.nps.edu/handle/10945/37609>. Farley, Robert. “Submarines, Cocaine, and Aquatic Terrorism?” Prospect. June 11 2009. Web. <http://prospect.org/article/submarines-cocaine-and-aquatic-terrorism>. Ferkaluk, Brian. “Latin America: Terrorist Actors on a Nuclear Stage.” Global Security Studies. Fall 2010. Web. <http://globalsecuritystudies.com/Ferkaluk%20Latin%20America.pdf>. Jaramillo, Michelle. “The Revolutionary Armed Forces of Colombia (FARC) and the Development of Narco-Submarines.” University of South Florida Scholar Commons. Web. <http://scholarcommons.usf.edu/jss/vol9/iss1/6/?utm_source=scholarcommons.usf.edu%2Fjss%2Fvol9%2Fiss1%2F6&utm_medium=PDF&utm_campaign=PDFCoverPages>. Kraul, Chris. “Colombia Has a Peace Deal, but Can It Be Implemented?” LA Times. March 13 2017. Web. <http://www.latimes.com/world/mexico-americas/la-fg-colombia-peace-outlook-2017-story.html>. Pelcastre, Julieta. “Colombian Military Forces Attack Drug Trafficking in Operation Barbudo.” Dialogo Americas. October 6 2017. Web. <https://dialogo-americas.com/en/articles/colombian-military-forces-attack-drug-trafficking-operation-barbudo>. Perez, Janelle. “Fighting Terrorism with Foreign Aid: A Case for Continued US Assistance in Latin America.” John Hopkins. January 5 2015. Web. <https://jscholarship-library-jhu-edu.proxy.wm.edu/handle/1774.2/37232>. Ramirez, Byron, and Robert Bunker. “Narco-Submarines: Specially Fabricated Vessels Used for Drug Smuggling Purposes.” Scholarship at Claremont. 2015. Web. <http://scholarship.claremont.edu/cgi/viewcontent.cgi?article=1029&context=cgu_facbooks>. Ramirez, Byron. 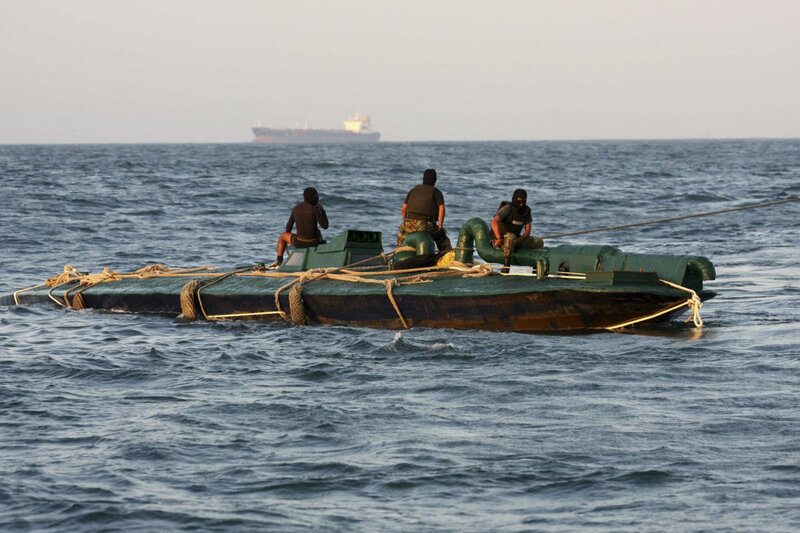 “Narco-Submarines: Drug Cartels’ Innovative Technology.” CIMSEC. August 2 2014. Web. 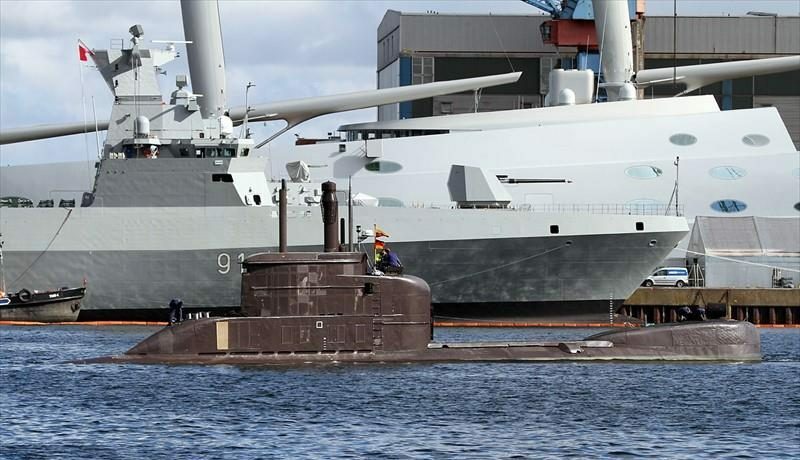 <http://cimsec.org/narco-submarines-drug-cartels-innovative-technology/12314>. Sherman, Kenneth. “Mini-Subs: The Next Terrorist Threat?” ProQuest. July 2003. Web. <https://search-proquest-com.proxy.wm.edu/docview/206603319?pq-origsite=summon>. Sullivan, Mark, and June Beittel. “Latin America: Terrorism Issues.” Federation of American Scientists. December 15 2016. Web. <https://fas.org/sgp/crs/terror/RS21049.pdf>. Szoldra, Paul. “A Retired Navy Admiral is ‘Very Concerned’ about Terrorists Attacking Cruise Ships.” Business Insider. June 30 2017. Web. <http://www.businessinsider.com/stavridis-terrorist-attacks-at-sea-2017-6>. “U.S. 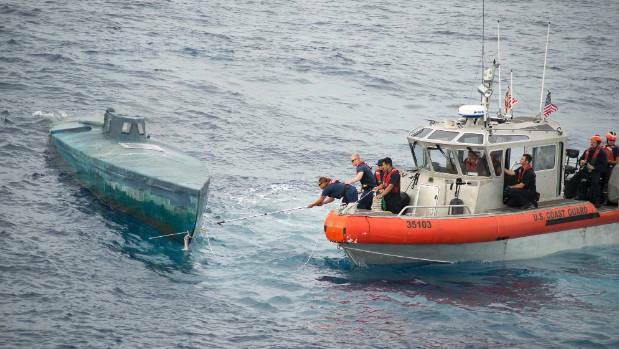 Coast Guard Intercepts Semi-Submersible Vessel Packed with 3,800 Pounds of Cocaine.” USA Today. December 11 2017. Web. <https://www.usatoday.com/story/news/nation-now/2017/12/11/u-s-coast-guard-intercepts-semi-submersible-vessel-packed-3-800-pounds-cocaine/939668001/>. Vargas, Ricardo. “The Revolutionary Armed Forces of Colombia (FARC) and the Illicit Drug Trade.” TNI. June 7 1999. Web. <https://www.tni.org/en/publication/the-revolutionary-armed-forces-of-colombia-farc-and-the-illicit-drug-trade>. Watkins, Lance. “Self-Propelled Semi-Submersibles: The Next Great Threat to Regional Security and Stability.” Naval Postgraduate School. June 2011. Web. <https://calhoun.nps.edu/bitstream/handle/10945/5629/11Jun_Watkins.pdf?sequence=1&isAllowed=y>. Kraul, “Colombia Has a Peace Deal, but Can It Be Implemented?”. 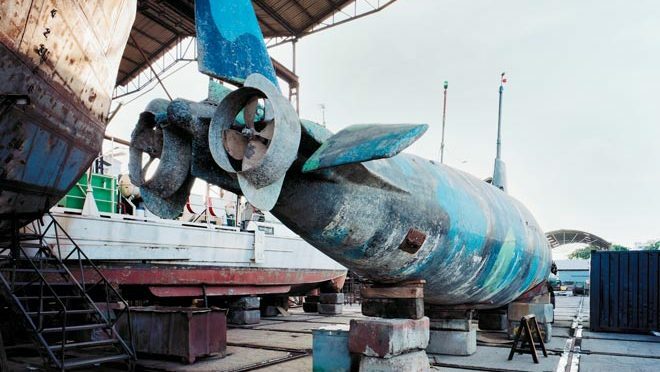 Note that SPSSs are not true submersibles, although they are equally difficult to detect, as discussed further on; Ramirez and Bunker, “Narco-Submarines: Specially Fabricated Vessels Used for Drug Smuggling Purposes,” 29. Note that “the Coast Guard is the lead federal agency for maritime drug interdiction in the transit zone, responsible for the apprehension of cocaine transporting vessels …”; Wakins, “Self-Propelled Semi-Submersibles: The Next Great Threat to Regional Security and Stability,” 6. Ramirez and Bunker, “Narco-Submarines: Specially Fabricated Vessels Used for Drug Smuggling Purposes,” 47. After successful missions, the vessels are also sunk this way; IBID, 25. Davis, “The Submersible Threat to Maritime Homeland Security,” 39. Sullivan and Beittel, “Latin America: Terrorism Issues,” Summary. Baker and Cupery, “Gringo Stay Here!”. Ferkaluk, “Latin America: Terrorist Actors on a Nuclear Stage” 115. Davis, “The Submersible Threat to Maritime Homeland Security,” 24. Cragin et al., “Sharing the Dragon’s Teeth: Terrorist Groups and the Exchange of New Technologies,” 71. Perez, “Fighting Terrorism with Foreign Aid: A Case for Continued US Assistance in Latin America,” 52. Davis, “The Submersible Threat to Maritime Homeland Security,” 45. Sullivan and Beittel, “Latin America: Terrorism Issues,” 4. Although significant actors with notable histories in their own right. It is impossible to predict how many narcosubs continue to be produced. Retroactive seizures, as seen with sporadic interdictions of drug subs since the 1990s, are a poor proxy for an overall estimate. Jaramillo, “The Revolutionary Armed Forces of Colombia (FARC) and the Development of Narco-Submarines,” 53. Especially those hard-liners unwilling to participate in the surrender, or even de-militarized members wishing to return the previous way of life given difficulties reintegrating into everyday society. Davis, “The Submersible Threat to Maritime Homeland Security,” 42. Watkins, “Self-Propelled Semi-Submersibles: The Next Great Threat to Regional Security and Stability,” 51. Sherman, “Mini-Subs: The Next Terrorist Threat?”. Davis, “The Submersible Threat to Maritime Homeland Security,” 25. Farley, “Submarines, Cocaine, and Aquatic Terrorism?”. Davis, “The Submersible Threat to Maritime Homeland Security,” 52. Jane’s Terrorism and Security Monitor’s “Insurgent Submersibles” provides a favorable (albeit subscription-based) account of the issue. On 4 November, the Honduran Navy (Fuerzas Naval de Honduras: FNH) received a brand new multipurpose vessel, FNH Gracias a Dios. What makes this delivery significant is that the platform was constructed by a Colombian company, Corporación de Ciencia y Tecnología para el Desarrollo de la Industria Naval Marítima y Fluvial (COTECMAR). Hence, this deal is important as it serves as an example of a Latin American military industry successfully selling platforms to another regional state. This commentary is a continuation of an August 2016 essay by the author for CIMSEC, titled “The Rise of the Latin American Shipyard,” which discussed regional shipyards and their attempts to sell their platforms to international clients. Gracias a Dios was delivered fairly quickly, as the Honduran and Colombian governments signed a contract on 21 November 2016. The platform is a Short Range Logistic Support Ship (Buque de Apoyo Logístico – Cabotaje: BAL-C), it measures 49 meters, has a max speed of 9 kts and can transport up to 120 tons of cargo. The vessel has a ramp and a hydraulic crane so it does need a port to unload its cargo. Construction was carried out by the aforementioned Colombian company COTECMAR, in its facilities in Cartagena. 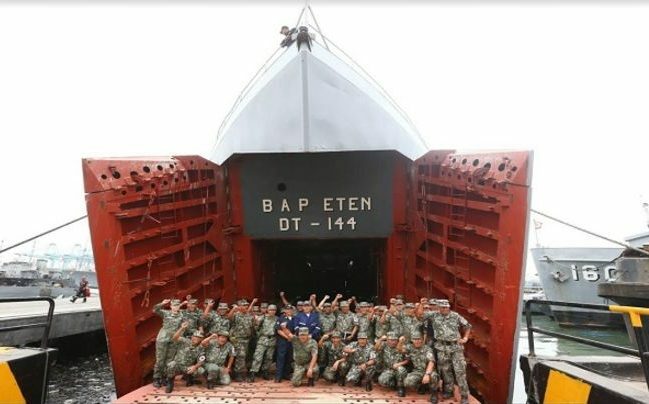 Apart from assembling the vessel, COTECMAR trained 17 Honduran naval personnel, while three Honduran naval officers will study in the Colombian Navy’s institute of higher education, Escuela Naval Almirante Padilla, as part of the Tegucigalpa-Bogota deal, worth USD$ 13.5 million. Gracias a Dios will be utilized by the Honduran naval force for coastal operations including relief support after natural disasters. The Honduran government and media in general have applauded the new asset; for example the daily La Tribuna explained that “this is a multipurpose vessel, its main missions will be to transport food, fuel and machinery to inaccessible areas in Honduras.” The newspaper also quoted the commander of Gracias a Dios, Lieutenant Israel Onil Sánchez, who explained that the vessel can be at sea up to 40-45 days. Meanwhile, President Juan Orlando Hernández highlighted how the vessel can transport up to four speedboats, which will help combat drug trafficking across Honduras’ waters. There are now five BAL-Cs in operation: Colombia operates four – two in its Pacific fleet and two for the Caribbean fleet – in addition to one for the Honduran Navy. The successful delivery of Gracias a Dios has encouraged COTECMAR to be more aggressive in order to acquire new foreign clients. A recent report by IHS Jane’s explains that the company is now looking at countries like Peru, the United Arab Emirates, and landlocked Paraguay as potential customers – and according to Jane’s negotiations with Lima and Asuncion are advanced. 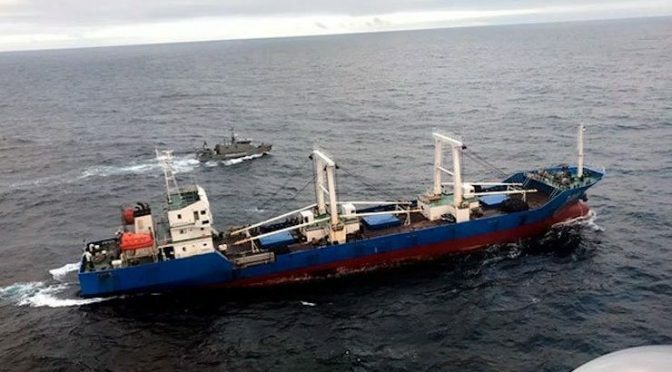 Lima’s interest in these platforms is understandable, as Peruvian ships, like the BAP Eten, were involved in support operations recently, when torrential rains affected the country’s northern regions earlier this year. 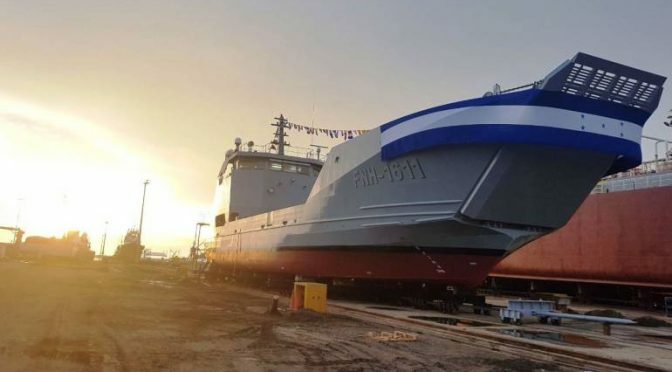 Additionally, it will be important to monitor other Latin American shipyards, like Argentina’s Rio Santiago, Chile’s ASMAR, Ecuador’s ASTINAVE, or Peru’s SIMA as these entities are also constructing platforms for their respective navies, but could also attempt to export them. When it comes to Mexico for example, ASTIMAR has constructed 10 Tenochtitlan-class coastal patrol vessels for the Mexican Navy. It is important to mention the geopolitical ramifications of the Gracias a Dios deal. The vessel and other initiatives as part of the agreement will inevitably bring the Honduran and Colombian navies closer, and joint naval exercises will probably occur in the near future. This is important because of one factor: Nicaragua. The Central American nation has taken Colombia to the International Court of Justice (ICJ) due to a maritime border dispute over Bogota-controlled islands and territory in the Caribbean. ICJ rulings in 2016 were generally regarded as very favorable towards Managua, but the two sides have returned to the Court for subsequent demands. From this perspective, it makes sense that Bogota is approaching Tegucigalpa via defense-related initiatives, as this will serve to counterbalance Managua’s Caribbean ambitions. While armed conflict between Colombia and Nicaragua is extremely unlikely, Bogota can always benefit from having additional allies among states that border the Caribbean and Nicaragua itself. It would be far-fetched to suggest that the recent Colombia-Honduras deal for a logistics vessel will dramatically change the dynamics of Latin American and Caribbean sales regarding naval platforms. Without a doubt, regional navies will continue to look to extra-regional suppliers, including more experienced shipyards, for new (or refurbished) vessels. This is particularly true for more complex platforms such as submarines (Brazil’s submarine program notwithstanding). Moreover, as Mr. Ehrlich mentions, apart from competition, the other main obstacle for these shipyards to grow is lack of political support for these entities. With that said, the COTECMAR-FNH deal does set an important precedent, as navies with limited defense budgets in Latin America and the Caribbean may start turning to their immediate neighbors regarding the acquisition of new platforms instead of investing in more expensive assets from more distant suppliers.